Terry founded New Frontier Financial in 2002 and New Frontier Financial Advisory, LLC in 2012. He specializes in educating prudent, mature investors on the issues they face prior to and during their retirement years, and the options to grow, preserve and transfer their estate, while legally minimizing or avoiding taxes. Many concepts not shared by other planners can add stability and peace of mind to your overall financial plan. Terry is often asked to speak on a national level to teach other industry executives how to implement “Best Practices” for an ethical and efficient business. He is on the advisory board for several national marketing organizations and insurance agencies. Please contact Terry’s office about his next speaking engagement. Mary joined New Frontier Financial Advisory, LLC in 2005 in a marketing role, presenting educational seminars for clients and prospects. She takes great pride in taking care of New Frontier Financial Advisory, LLC’s clients through client outreach activities such as birthday recognition and client events. Mary’s Bachelor of Science degree in Sociology and background in teaching and customer service position her well to provide an educational approach to marketing and client relationship management. She enjoys time with her daughters and a healthy outdoor lifestyle, where you will find her walking her rescue dogs. Lee joined New Frontier Financial Advisory, LLC in the Fall of 2015 to assist with insurance analysis and service. Lee brings 28 years of experience to the New Frontier Financial team, providing extensive knowledge in various insurance products. Lee’s professional philosophy is to fully satisfy clients’ insurance needs as part of helping individuals achieve their financial goals and support their legacy. His expansive background has proven success in building a solid base to help complete the needs and objectives of his clients. Prior to receiving his Bachelor of Arts Degree in Accounting and Finance from the University of South Dakota, Lee attended Iowa State University and the U.S. Air Force Academy. He later received his MBA in Economics from the University of Michigan. Lee has a strong passion for helping others and over the years has expressed this philosophy by being active in several organizations. 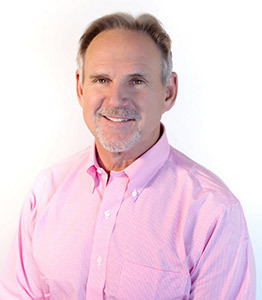 Lee has dedicated much of his time as a devoted member of, Sertoma (a nationally recognized service organization), the Chamber of Commerce, the National Association of Insurance and Financial Advisors, and the South Metro Denver Realtor Association. He is also actively involved in the men’s ministry at his church. Lee enjoys spending his spare time with his lovely wife, 2 children, and 4 awesome grandchildren! Erin joined New Frontier Financial Advisory in May 2017 in an operations role. She specializes in the day-to-day operation and client communication, and offers a quick turn-around time in responding to requests while maintaining the utmost security and discretion. Erin’s Bachelor of Science degree in Communication and Media Management, along with her background in customer service and management give her a unique ability to organize, respond to client needs in a timely manner, and ensure the highest level of service and support. Before coming to New Frontier Financial Advisory, she worked in management in the rental car industry, and was a stay at home mom. 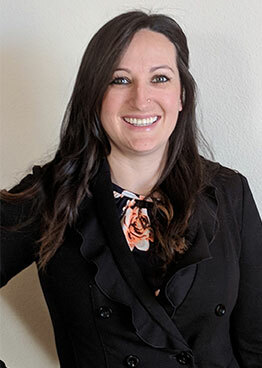 She enjoys staying active in seasonal outdoor activities, volunteering for local organizations and community outreach, and spending time with her husband and two young kids.